We explore the picturesque county of Kent and visit some of its stunning gardens! Sit back, relax and enjoy the Countys outstanding countryside from the comfort of your seat as we delve deep into this treasure trove in the south-east of England. Your holiday includes the three excursions below and a free day. Leeds Castle & Canterbury - This morning you can enjoy a visit to the "Loveliest Castle in the World". 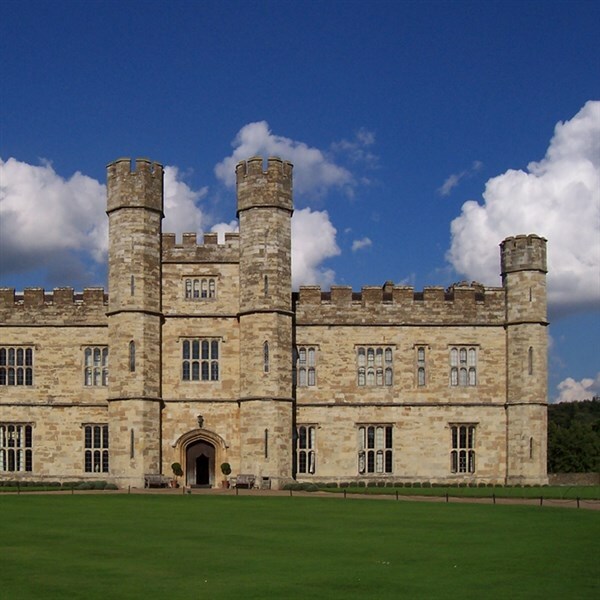 Nearby Leeds Castle has been home to royalty, lords and ladies for over 1000 years and boasts a fine collection of tapestries, furniture, paintings, porcelains and beautiful gardens. We then head to Canterbury, offering an old world charm, a 'must see' Cathedral and many ancient buildings, shops, bars and restaurants. Jewel of the Weald & Dixter Gardens - Today you can enjoy a relaxing journey through the Rother Valley aboard the 'Jewel of the Weald' steam train. This gentle journey takes us to Tenterden and then onto Great Dixter. The gardens of this historic 15th Century Tudor House are a pilgrimage destination for horticulturists from all over the world! 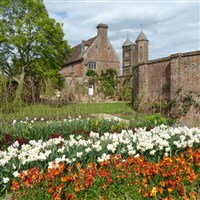 Sissinghurst & Penshurst Place - Today we head to the Gardens of Sissinghurst to explore the intimate grounds of this Elizabethan mansion and its colourful, floral displays. We also pay a visit to Penshurst Place, this 670 year old Stately Home is set in 11 acres of formal walled gardens with records dating back to 1346.